Something different with a fancy cut, rich color and eye clean. 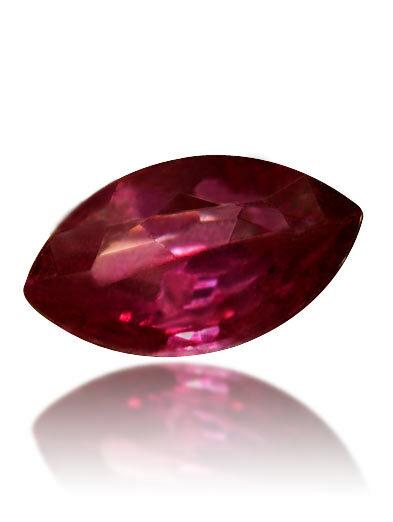 This genuine natural ruby has lovely clarity and full natural red color which has made Burmese rubies so famous. Cut from a piece of natural Mogok ruby rough with its big face this gem would be ideal for setting in jewelry and its fancy shape make its perfect for someone who wants something different something special. Approximate dimensions are as follows; mixed cut 7.5 mm long x 4.3 mm wide and weight is .63 ct.
Mogok rubies are legendary at night a Mogok ruby glows like an ember in the fire.